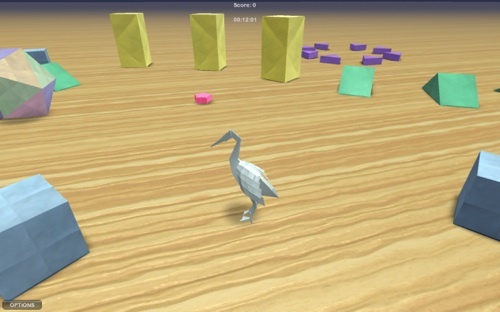 Does the heron in the Island demo use the procedural animation? Is the procedural animation a partial implementation of an IK system? Think of Assassins Creed. My experience with Unity is very limited ~ 2 days (part time at that), so I don’t know a whole lot about it. But it sure does look like it can save me a lot of time, and allow me to publish to multiple platforms. I'm checking out your FPS demo and talk now. I was just in the process of adding an animated character into the Island demo when I came across your work. Actually, I was reading the Release Notes for Unity 2.6.1 and one thing lead to another. . .now here I am. I did not code that by the way! Thanks for the reply Rune. I'll read the doc and let you know how it goes. But from a cursory view, and remember my experience with Unity here, it seems that users are burdened with tying the physics engine with the locomotion engine. Is this accurate? And if so, are there any complications with this? My goal is to load a model into the Island demo, and tie it to the locomotion system. Any pointers would be appreciated. @Jerry: I should think the the answer to your question is in the docs of the Locomotion System, and I made sure to put the pointers I have in those docs as well. If you need any help with the Locomotion System after having read the docs for it, please go to UnityAnswers or the Unity forums. If you don't get any help there within a few days, ping me, and I'll take a look.